The National Federation Party says it respects the results of the 2018 Fijian general Election – but don’t accept it. 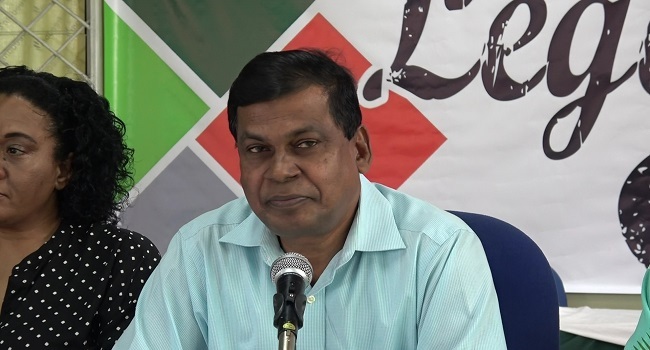 Speaking to the media for the first time following the announcement of the Election results, Leader Professor Biman Prasad says NFP is still considering its next step, including the question of his leadership of the party. The Party finished the General Election race on third place. Although it increased its votes by over six thousand the party that promised to secure all 51 seats in parliament has ended up with only three seats – the same number it had in the previous parliament. Despite not accepting the results, the leader did not shy away from congratulating the ruling party. “For the moment and based on the official result, it is appropriate to congratulate the FijiFirst Party for its lead in the polls." But in the same breath Prasad took a swipe at FijiFirst and its leader Voreqe Bainimarama. The NFP also maintains that it will continue to push the party’s campaign policies which despite promising so much did not find traction with voters. The NFP Leader also hinted that he will be considering his political career soon. However, the Party president says support for their leader stands. The NFP members who have qualified to enter parliament include Leader Biman Prasad, President Pio Tikoduadua and first time candidate Lenora Qereqeretabua.